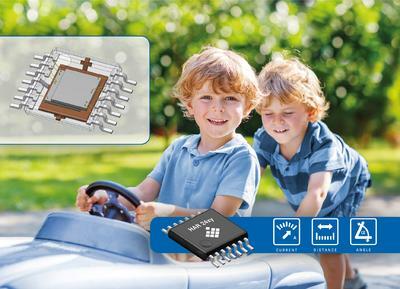 Micronas (SIX Swiss Exchange: MASN), a leading supplier of innovative application-specific IC system solutions for automotive electronics, today introduced the new Hall sensor family HAL 1xy, specifically intended for use in home appliances and industrial applications, and based on its predecessors, which are already successful on the automotive market. Micronas is a leading supplier of integrated Hall sensors and has a well-founded knowledge of the development and production of these sensors. The design and features of the newly introduced Hall sensors are proven over the years in automotive applications, for instance, in safety belt locks, electric window lifters, sliding roofs, and so on. Based on these, the Hall sensor family HAL 1xy was devised by means of a cost and feature downgrade. 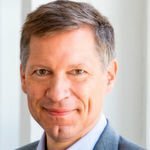 Peter Zimmermann, Director Marketing at Micronas, states: "On the basis of the field-proven building blocks of the globally extremely popular HAL 5xy sensor family, an excellent price-performance ratio is achieved with the HAL 1xy sensor family. Micronas is therefore able to offer a robust Hall switch at an attractive price. This combination makes the HAL 1xy highly interesting for home appliances or industrial applications." Possible applications include white goods (e.g., selector switches, door lock, rpm detection), power tools (e.g., speed control, direction switch) and home automation (e.g., garage/door openers). OEMs, system integrators and engineering offices are addressed as potential customers. The HAL 1xy sensor family is offered in TO92UA and SOT89B packages and is available for the temperature ranges C (Commercial, TJ = 0 °C to +85 °C) and I (Industrial, TJ = -20 °C to +125 °C). 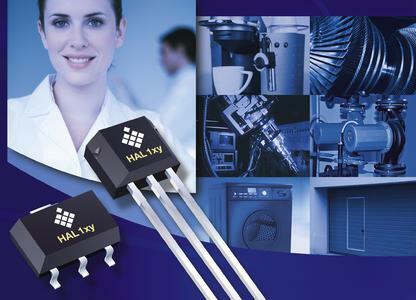 According to the required type, the HAL 1xy sensor family will be offered for EUR 0.19 to EUR 0.30 for a quantity of 500k. Samples will be available as of the second quarter of 2009. Micronas' new HAL 1xy sensor family will be on show from May 26 to 28, 2009, at the Sensor+Test in Nuremberg, Germany (booth 12-558) as well as from June 8 to 10, 2009, at the sensors expo & conference in Chicago (booth 915).